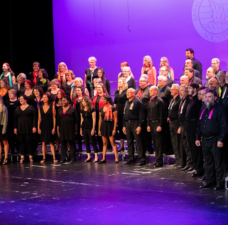 On September 17, 2018, the Barbershop Harmony Society Board of Directors approved changes to the Mission, Purposes, and Code of Ethics to better align with the vision of “Everyone in Harmony.” The approved statements, with discussion of the changes, are outlined below. This updated language will appear on barbershop.org in conjunction with the launch of our refreshed web page on October 8th. 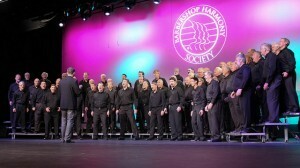 The Barbershop Harmony Society brings people together in harmony and fellowship to enrich lives through singing. 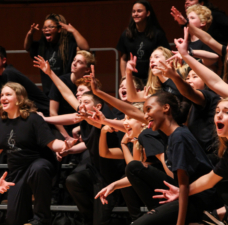 To hold annual, local, district, state, national and international contests in quartet and chorus singing. To promote public appreciation of Barbershop quartet and chorus singing by publication and dissemination thereof. This does not mean that BHS will not continue to do these things -- on the contrary, they are both critical to the day-to-day business operations and highly valued by membership and fans alike. Contests as a general program have been re-inserted in the new point stating: “To initiate and maintain a broad program of [...] contests...”. However, the Board did not feel that it was appropriate moving forward to say that publishing and a certain set of contests are specifically two of the purposes of the Society. Are they some things we do? Yes. Are these the reasons why we exist? No. In addition, the Board made a few changes to make sure that the purposes as a whole align with the organization vision, especially with regard to charitable projects and foundations. For example, the old version stated that we would “establish and maintain [...] charitable foundations.” By specifying that these will be charitable foundations that support our vision, it is clear that these will not be charities completely unrelated to or disconnected from our mission and vision, such as cleaning up the ocean or financing cancer research -- both incredibly worthy causes, but unrelated to the vision of BHS. 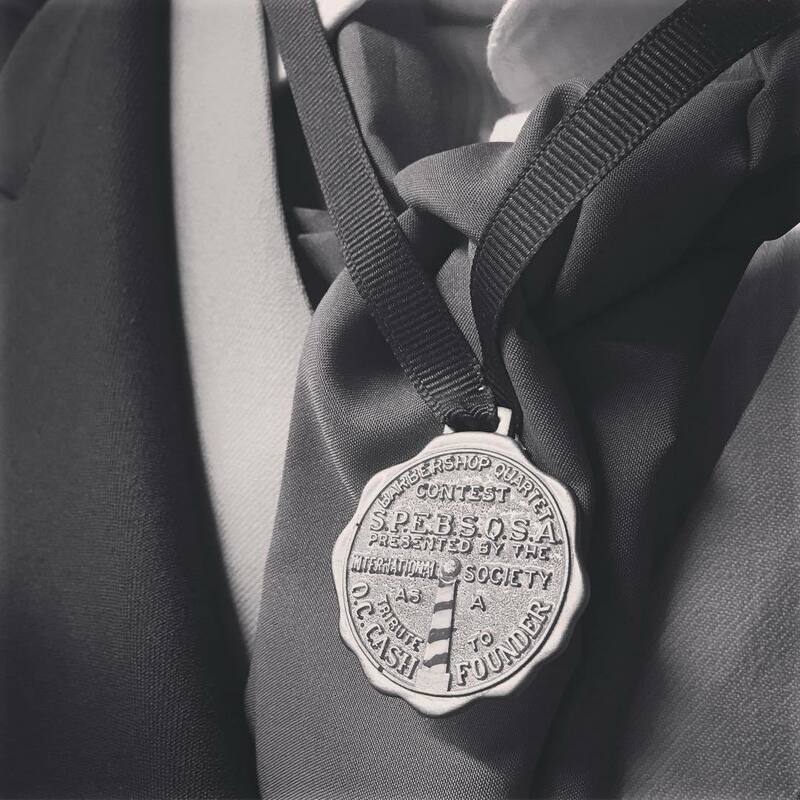 The Society aspires to preserve for its members and for all future generations of prospective members, the sacred right of all people to seek haven from the burden of their daily cares through indulgence in old-fashioned vocal quartet harmony, and to that end we do hereby solemnly pledge ourselves to abide by the precepts of the Code of Ethics. 1. 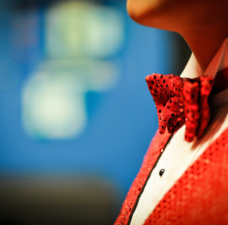 We shall endeavor to perpetuate the Barbershop Harmony Society and the barbershop style of singing. 2. We shall deport ourselves and conduct the Barbershop Harmony Society’s functions in such manner as to reflect credit upon the Barbershop Harmony Society and its membership. 3. We shall conform to the bylaws of the Barbershop Harmony Society and any other rules set forth by its Board of Directors. 4. We shall accept for membership only congenial persons of good character who love barbershop harmony or have a desire to harmonize. 5. We shall exhibit a spirit of good fellowship toward all members and strive to resolve any conflicts with civility and respect. 6. We shall refrain from forcing our songs upon unsympathetic ears. 7. We shall refrain from taking improper advantage of our membership and BHS fellowship for personal gain. 8. 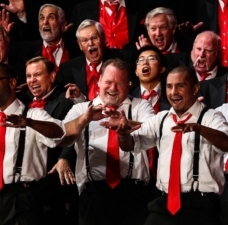 We shall not permit political, religious, or other controversial issues to hinder or inhibit the enjoyment of barbershop harmony. 9. 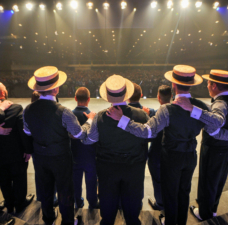 We shall, through our service to the Barbershop Harmony Society, endeavor to spread the spirit of barbershop harmony throughout the world. Overall, the language has been slightly altered to be clearer and more precise, and “men” in the preamble has been changed to “all people.” In addition, the number of points has been reduced to nine from ten with the removal of “We shall render all possible altruistic service through the medium of barbershop harmony”, a sentiment which the Board felt was reflected elsewhere in our Strategic Vision and therefore unnecessary here.